Are you considering where to learn to dive? 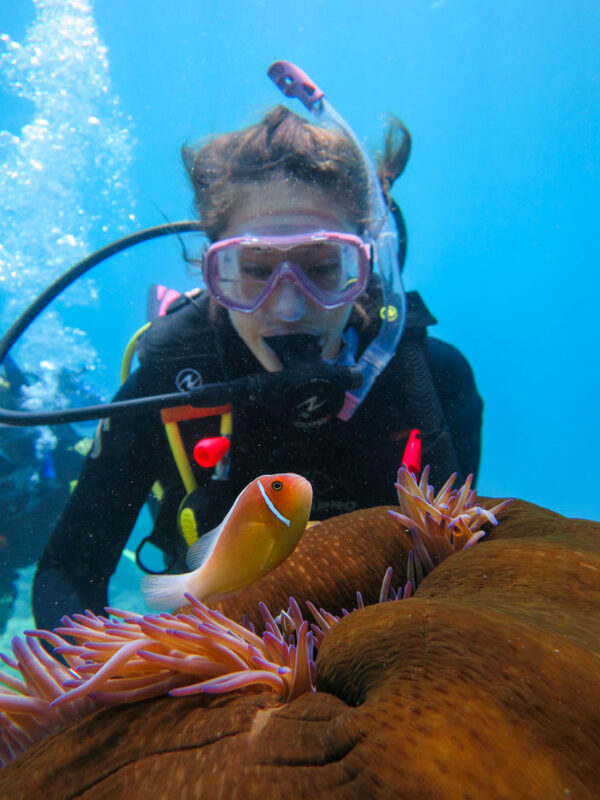 Start your diving experience here in Port Douglas for some of the best Great Barrier Reef diving, professional PADI Instructors and a lot of fun! At Blue Dive we believe in doing things in style and our PADI Open Water Course is no exception. After a day of pool training you’ll spend 2 exciting days diving the Agincourt Reefs. 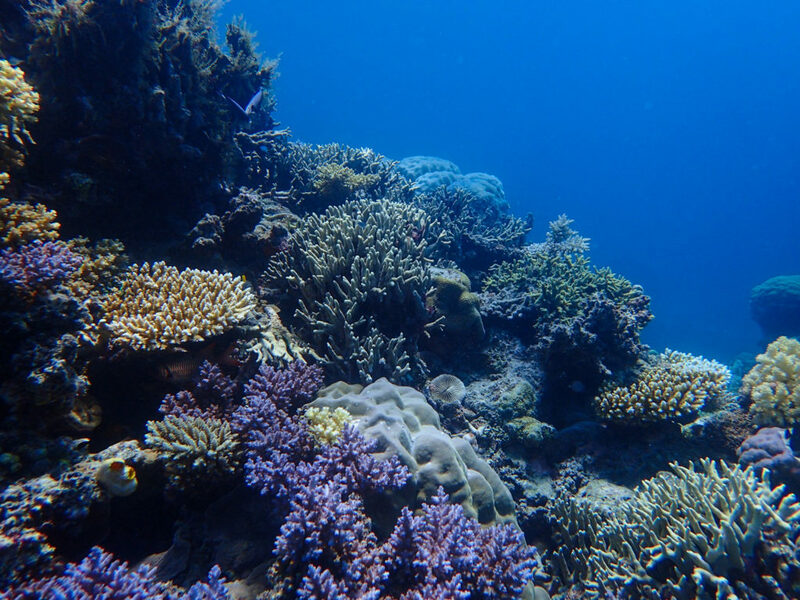 These phenomenal coral reefs are located on the Outer Barrier Reef which most other operators don’t travel to. We want to give you the best dive sites and the best experience and there is no better way to explore these pristine reefs than with Blue Dive. At Blue Dive we believe in keeping our classes small so you have plenty of time with your instructor and don’t feel rushed. Our PADI Instructors are all experienced professionals and are as passionate about teaching as they are about diving. To allow you to progress and learn at your own pace you’ll study PADI Open Water eLearning prior to coming to Blue Dive for your in water sessions. 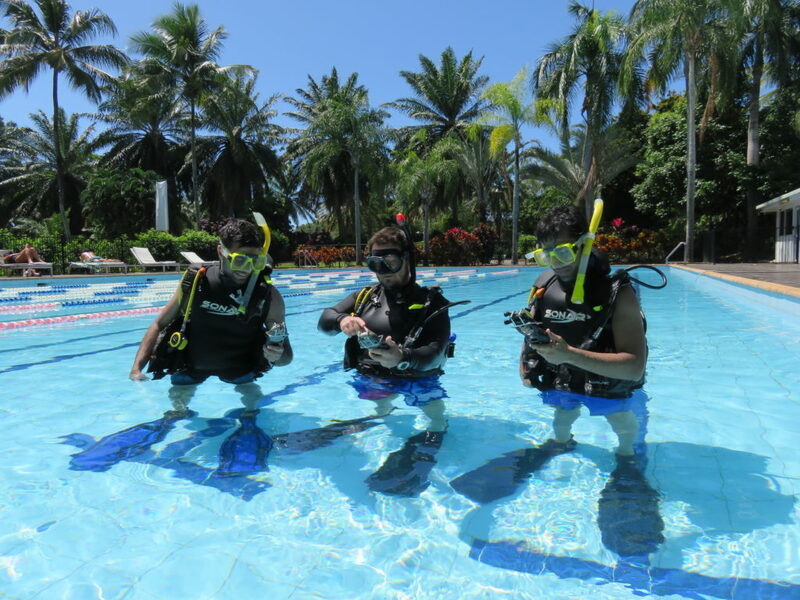 What does the PADI Open Water Diver Course in Port Douglas Involve? The PADI Open Water Course is an internationally recognised scuba diving certification, which allows you to dive to 18 meters. During your PADI Open Water Course at Blue Dive you’ll learn how to become a safe, competent and confident diver. When you complete your PADI Open Water Course you’ll be ready to dive anywhere in the world and you’ll be among millions of other divers who made the same choice as you – to become PADI Open Water Divers! Who Can Take The PADI Open Water Diver Course? You do not need to have any previous diving experience. The PADI Open Water Course is designed for beginners. You need to be a minimum of 12 years old and be in good general health. You should be able to swim 200 meters (no time limit and in any style or combination of styles you choose) and be comfortable in the water – that’s all! What Does The PADI Open Water Diver Course at Blue Dive Include? Knowledge Development: This is where you learn about the theory of diving and you’ll study this online before you arrive. ELearning is perfect for those who have busy schedules as you can fit your studying around your work or school schedule. It also means you’ll just need 3 days to complete the PADI Open Water Course at Blue Dive. Confined Water Dives: These sessions give you the chance to practice basic dive skills in a safe and controlled environment. At Blue Dive your confined water sessions will take place on your first day in a tropically styled pool here in Port Douglas. Your instructor will give you step-by-step instructions as well as demonstrations. 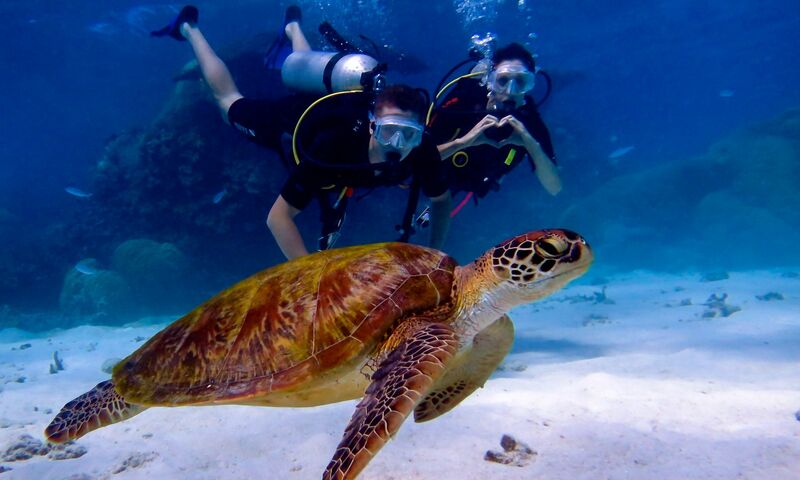 You’ll have a lot of fun and feel confident about making you open water dives on the Great Barrier Reef! Open Water Dives: This is what it is all about! The PADI Open Water course usually involves 4 ocean dives but here at Blue Dive we add in an extra dive for FREE! You’ll make 5 stunning dives on some of the best coral reefs on the planet. Why Learn to Dive with Blue Dive? Small Groups: To give you the best learning experience we limit our courses to just 5 students. Safety: This is our number 1 priority and you’ll feel comfortable and looked after from day one. We love teaching: Our team of PADI Instructors are dedicated educators who thrive on seeing students develop and learn. Free Additional Dive: Our PADI Open Water Courses at Blue Dive include 5 ocean dives, not just 4! Option for Private Courses: If you’d like to arrange a private course for you or you and your group just let us know and we can arrange private tuition. Our Promise to You: We have a unique policy that if for any reason you wish to cancel at the end of day one we offer a refund $300. Are you planning to stay a while in Port Douglas? 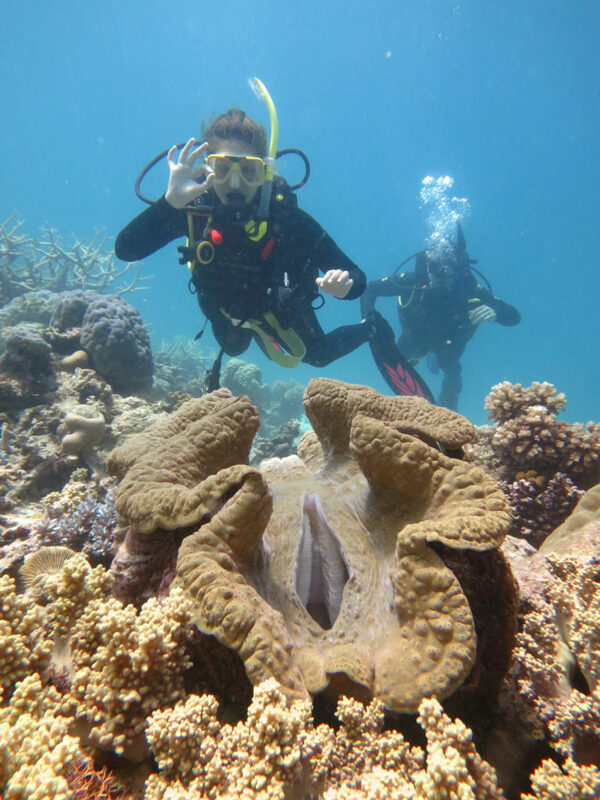 Why not add on some more incredible Great Barrier Reef dives for after you get certified? There’s a whole lot more just waiting to be explored! We look forward to welcoming you to Port Douglas soon!